I’m often asked what my favorite experiences were during my first year at Tuck. The list is so long that I always struggle to focus on just one aspect. I have my favorite classes, activities, Tuck Talks, hiding corners (yes, you need them), restaurants, and so on … but what really stood out to me from my first year was the moments. Some moments are snapshotted in my brain and will stay in my memory forever. These moments are so precious that I can still remember exactly how I felt in the moment! I can definitely talk about my favorite things, but if you are curious about these moments I am referring to, then read along! 1. 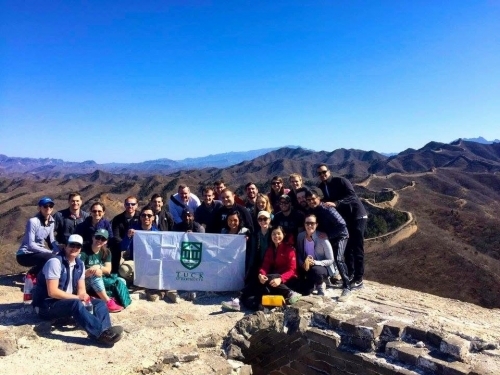 Hiking the Great Wall of China … with Professor Peter Golder. This past March, I signed up for China GIX lead by Professor Peter Golder. (I’m not biased at all, but it is the best GIX. J) So, the first day in China, I was jet lagged yet brimming with excitement to visit the Great Wall. Little did I know that we were hiking the Great Wall, and not just visiting. The day began, we started hiking, and oh my, was it challenging! My classmates were way ahead of me and out of my sight, and Professor Golder was hiking along with me to keep me company. The trick to fight my fear of heights was—Come what may, DO NOT LOOK DOWN! I was doing well for a few hours, until the path got narrower and I had to start looking down to land my foot strategically for every step I was taking. I started feeling nauseated and breathless, and my mind and body just refused to continue. To say the least, I was almost in tears. Professor Golder immediately took a step ahead of me, looked straight in my eyes, and said, “You can do it, alright! Don’t worry. I will help you. You’ve come this far. You are doing very well. You can do it.” His faith in me was exactly what I needed. At that moment, I felt like I could cross any hurdle because I wasn’t in this alone. 2. My first cold call … with Professor Felipe Severino. 3. Leaving my Dorm Room … with wonderful memories. Okay, first, some background—I had the coolest dorm room ever in my first year! (Again, no biases at all! J) It was at the perfect location and my decor was full of pictures of my family and friends, my paintings, and all things pink which gave it a very warm, cozy, and pink-wonderland feeling. When spring term was coming to an end, I was looking forward to finishing my first year because it meant beginning my exciting internship, living in D.C., and spending more time with family. What I hadn’t considered was that it also meant an end to my dorm-room-life. And within a few hours of packing, my pink-wonderland looked spick and span again—just the way I found it when I moved to Tuck. I created memories in this room which I wouldn’t want to trade for anything in the world: midnight birthday celebrations; surprise visits from friends; endless conversations about our aspirations, futures, and hopes, over a glass (or two) of wine; randomly breaking into dance moves; after-after-after parties in my room; and so much more! As I ended my first year, I sat down, looked around, and smiled, for there are so many more precious memories to be made ahead. I’m looking forward to a wonderful second-year-best-year at Tuck! 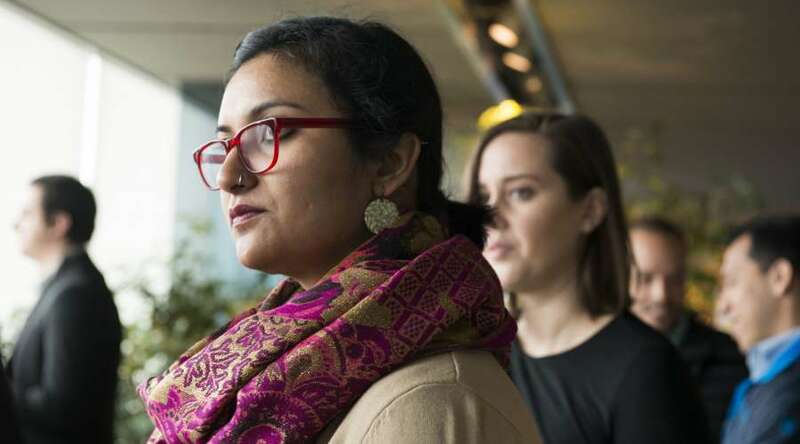 Tanvi Nayar is a T’18 and a Tuck Student Ambassador co-captain for India. Please reach out to her or any other Student Ambassadors using this website. They love to connect with future Tuckies, especially when they're from "home"!